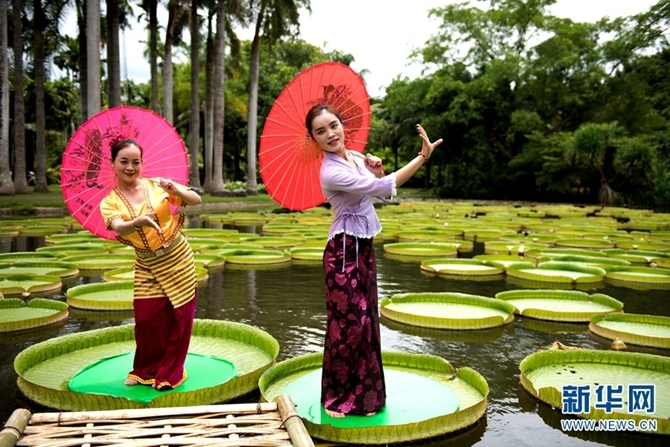 The giant water lilies in the Xishuangbanna Tropical Botanic Garden of Chinese Academy of Sciences, Yunnan province has entered into their annually best viewing period these days. With more than 2 meters in diameter, their leaves can carry up to 60 or 70 kilograms. 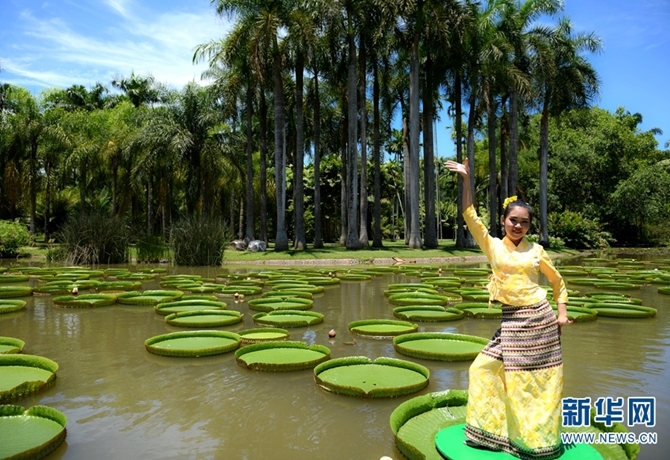 Giant water lilies are native to tropical regions of South America, and were introduced to the Xishuangbanna Tropical Botanical Garden in 1963. They have strong veins like umbrella stands that enables them to lift children or even adults. The best viewing time of giant water lilies is from June to October. If you visit the Tropical Botanic Garden during this period, you may enjoy the pleasant summer views of jade-plate-like giant water lilies strewing all over the pond and surrounded by green trees, while fishes and shrimps swimming underwater. 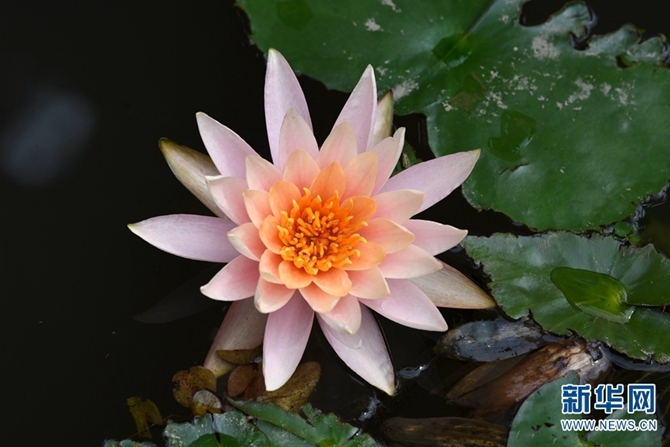 There are two more interesting points about giant water lilies. Their flowers can change colors from white to pink or purple in different time, and they bear a surprisingly large number of seeds, 300 to 400 per fruit, up to 700. 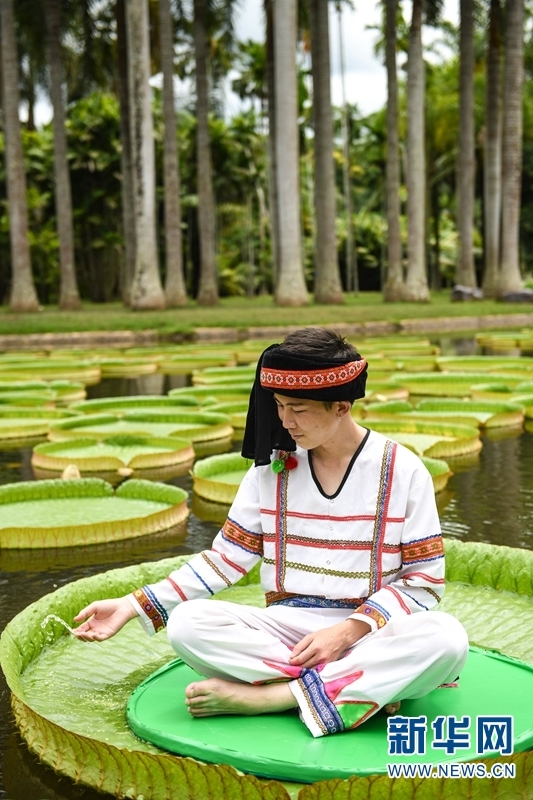 Every July and August, Xishuangbanna Tropical Botanic Garden holds giant water lily viewing activities, during which visitors can not only experience the leaf-shaped “boats”, but also get to know more about this plant through science programs. 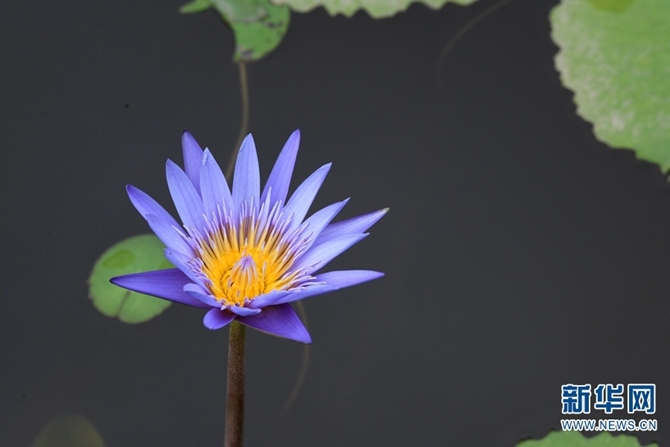 In addition, dozens of other varieties of water lilies and lotus flowers can be seen.